Cooking, gardening, and family are the three passions of a Lombard homeowner who hired Drury Design to create a new space for her family to enjoy meals and sweeping views of their gorgeous yard. 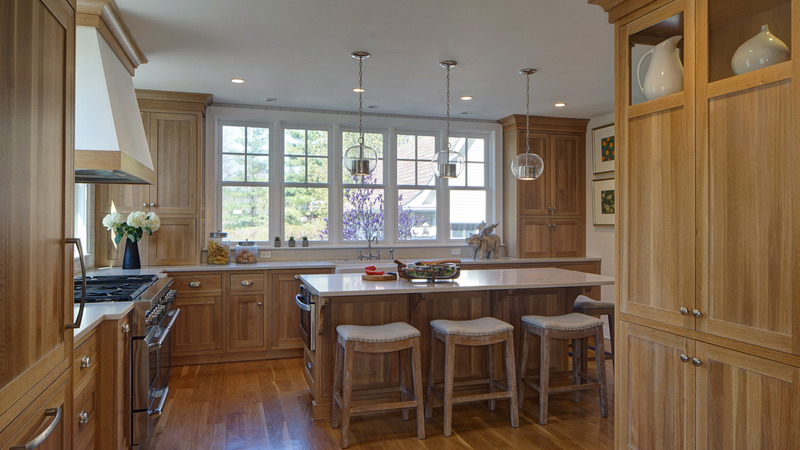 The homeowner requested a light and airy space but didn’t want white cabinetry. Finishes had to be practical to stand up to the demands of young children. 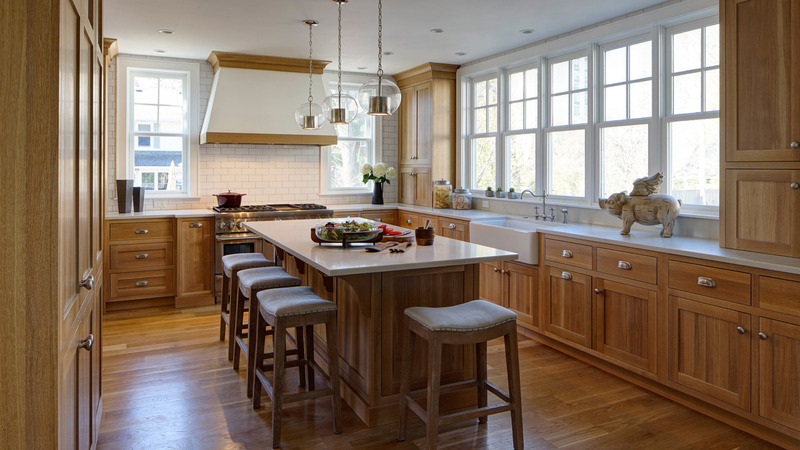 The resulting traditional kitchen pays homage to the family’s lifestyle. To capture the best views of the backyard herb garden and pool, as well as views of outdoor activities, the kitchen was moved to the back of the house. Designer Gail Drury included top-of-the-line luxury appliances for this accomplished cook, as well as easy access to spices in the island. Display cabinets highlight precious collectibles while keeping them out of harm’s way.